EBC Brakes has 14 machining centres in these two countries to manufacture these precision parts. Rotors are made from high quality grey iron to exacting standards and undergo extensive testing and rigorous quality control and are then precision machined to your chosen slot or dimple pattern. 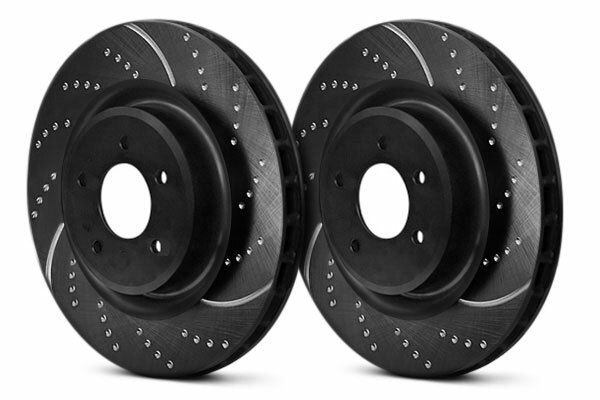 These “Full sweep” slots on the EBC Sport Brake rotor also help remove dirt dust debris and water from the braking area but without doubt the main benefit of such sport rotors is their ability to maintain a flat and parallel pad surface throughout the lifetime of the brake pad set. 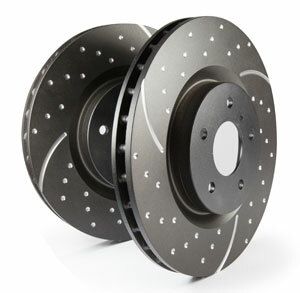 EBC GD Sport Rotors are directional “LEFT and RIGHT” which is nearside and offside of your vehicle. The sweeping grooves and spotted pattern should be pointing to the rear of the vehicle.